The world’s largest gold coin, measuring about 53cm in diameter and weighing 100 kilogram, is to be auctioned in Austria. The coin, made of pure refined gold, is a Canadian Maple Leaf, with a denominated value of $1,000,000. It is expected to reach over 4 million at auction. 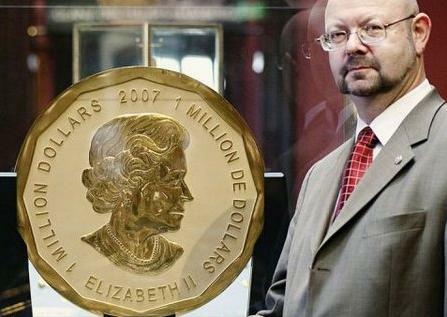 The coin will be auctioned on June 25, 2010, at Vienna’s Dorotheum.